Turntables are part of the current vinyl transcription landscape. 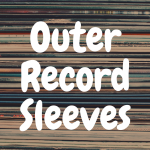 Each year, more and more record enthusiasts get involved. Vinyl has not, despite all of the digital sound recording and playback options, come to an end. Yes, there are plenty of options for those who want to purchase a new turntable—Pro-Ject, Rega, Music Hall are a few that make very nice decks. However, there are those of us who look at a deck produced in the ‘70s or ‘80s and remember their dad’s system or even their own. These are real craftsmanship and quality that you can see, feel and hear. Just like the film cameras and sports cars of that era, it’s not just a fad. It’s a cottage industry – fixing up old turntables and getting them working again and getting that sound. But isn’t it easier to just hop onto Amazon and purchase something new, a nice shiny new Pro-Ject or Audio Technica deck? Why vintage turntables? Aren’t vintage tables just beat up junk? Well, in this article, we’re going to discuss the best vintage turntables you can get for under $500, so you can find out how some of the old school turntables stack up to modern ones made today. 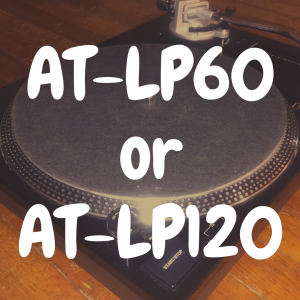 And, to better help you, we’ve compiled a list of a few modern turntables in the table below, so you can directly compare how some of the best turntables of today compare to the vintage ones we’ll discuss throughout this article. Why Use a Vintage Turntable? Here’s the deal with vintage sound repro equipment — it’s hard to find and even when you find an old deck, it’s may be in pieces. Maybe the platter isn’t even spinning. Yet people are still hunting for their dream deck. Perhaps it’s because, just like those who lurk on Jalopnik to read about barn finds of 40 year old Porsches, people like to collect vintage sound equipment. You see, analog sound equipment was in a sort of evolutionary phase from the early 1950’s until it’s apparent demise in the late 1990’s. All kinds of improvements and upgrades were done to advance analog sound reproduction for the audiophiles. These were the people who had the money to spend on a nice system, so the engineers went to work. This is well before companies like AR, Kenwood, and even Sony began outsourcing their parts and assembly to stay in business, thus losing quality control. Have you ever done this? Gone out to a garage sale or thrift store and found something made in the ‘60s or ‘70s? It’s the thrill of the hunt. Because, unbelievably, there are still a lot of them out there that still work. That’s how well they were built. A couple of years ago I picked up a Dual 1218 turntable. It was just sitting there, on the back wall at a GoodWill. This thing was hardly used. I took it home, re-lubricated some parts and there it was. Even the cartridge was in good condition. There is something to be said for recycling, especially things that look nice and work well. Sound equipment from the 20th century is one of those niches that fit into that description. They were made well. The turntables- idler-drive, direct-drive or belt-drive were made in Germany, Japan or the USA. The parts were, mostly made to last. These decks were not cheap. You will probably need or want to understand how to repair or restore the turntable to working condition. Some people will go so far as to build their own plinths or bases and find aftermarket dust covers. Just like vintage cars, really. Only cheaper. Here’s a list of seven high quality turntables that I would recommend. This is not a truly comprehensive list, obviously, but they represent the best and most reliable decks, in my opinion, that you can purchase for under 500 dollars or less. 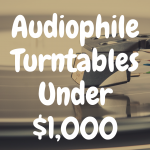 This list includes turntables that you can purchase to restore or ones you can buy that have already been refurbished by other enthusiasts who have the kind of time and resources to provide customers with the vintage experience without the time and learning curve required to do it yourself. So, in no particular order, here are my choices for the 7 of the top vintage turntables under $500. This is the idler-drive deck of choice for the medium priced, great value category. Honestly, you can also pick up a 1218 (10 inch platter vs 12 inch) or even the 1019 and do just fine. All of the Duals from this time period have the all wood base. This will retail, refurbished in working condition for around $400. There are also a good number of them on Ebay for less, but there is possibly work involved. The good news is that Dual turntables are one of the most reliable, easy to work on decks. Spare parts are available, but you really need to learn how to work on them. The major thing to look for on Dual decks from this era is the steuerpimpel. It is a small rubber cap that assists the tone arm return and most vintage Duals will most likely need it replaced. A very popular belt-drive model with both modders and audiophiles just starting out. This is a very simple yet high-end deck. The only deal breaker may be that the tone arm is not auto return, which means you have to manually lift the tone arm at the beginning and end of a record. There are workarounds for this, with aftermarket fixes to return the tone arm. Other models to consider are the TD 124, TD 125 which do have auto return. Prices will range from $200 – $500 for a TD 160 in working condition. Some people prefer belt-drive over idler or direct-drive decks so it’s a matter of what you like. Most likely, the drive belt on decks from this time period may need to be replaced. Fortunately, you can buy them online pretty easily. In the direct-drive category, this Japanese-made model gets my vote. It is considered one of the more reliable vintage direct-drive decks and holds up to this day. It is a fully manual player, so, like the Thorens TD 160, no auto-return here. For auto-return you’ll want the Technics SL-1300. It’s aluminum die-cast base gives it a look not so much like that of vintage decks like the Duals or Thorens, but more like the all metal decks of the late ‘70s and early ‘80s. Used spare parts are still available. You will find some nice examples of this elegant Swiss-made idler-drive deck on Ebay or on some audiophile sites. The guts of this deck remind me of a Swiss watch. If you can find one in working condition, grab it. In stock form, they can sometimes go for $400-$500 and with a bit of work can be operational with a decent amount of available parts. Here’s another belt-drive deck that is simple to use and mod as well. This was considered one of the first mass-market belt drive turntables, originally produced in the early sixties and remaining in production until the early seventies. It broke ground as being one of the first decks to eliminate the noise generated by the tone arm and uneven vinyl. Beautifully designed and, well, it’s an Acoustic Research product. As with the above examples, you will be able to find parts for this deck. Here is a quality-built Japanese made deck from the early ‘70s. Sometimes hard to find, you can still pick one up for around $450 in decent condition. This is a belt-driven turntable and parts are available. Although not the most sought after of the Sansui decks from that era, it is still a good catch for the price and will not disappoint. From the 1975-1980 era, this is a direct-drive deck that has the classic wood block plinth that personifies high end turntables from this time period. Set up is not that hard and parts seem to be available, if needed. Note: The only disadvantage to buying one of the above turntables in ‘as-is’ condition is that you may need to repair the deck yourself. Owner’s manuals and repair manuals for many of these decks can be found online. So can a lot of parts. This can be a problem if you aren’t mechanically inclined, have problems reading instructions or don’t have the time or patience to do the restoration. Vintage turntables are a lot of times finicky and random issues pop up frequently. So, this should be a passion for you, whereby your TLC and understanding of the mechanics of the deck override those issues. Think vintage British or Italian sports cars – lovely to own, incredible to drive, but require maintenance and the ability to live with any shortcomings due to age or engineering flaws. Don’t get into all of the tech specifications the first time around. There are too many overly-technical descriptions, mostly meant for seasoned audiophiles, that drown out the real important points to be aware of when purchasing a turntable. 1. If you’re buying from a thrift store, take a good look at the unit. You should also use your smartphone and search for that unit on the web, right there in the store. You will get enough data in the first two or three search results to tell whether or not this is a dog or a diamond in the rough. 2. Are all the parts there (or at least the most important ones)? If there is no cartridge or stylus, don’t worry. You can buy these new all day long. If the platter is missing or there is no tone arm, you might run into a problem, but that is also solvable. I actually used his parts to rebuild a United Audio Dual 1228 (check out a video someone uploaded onto YouTube below to see what this turntable looks like). Most of these decks can go from $5 to $25 each, because the people at the thrift stores have no way to test them. Sure, it’s a crap shoot, but if you see a nice Dual or a Technics deck for $15, pick it up and take it home. If nothing else, it’s a learning experience. 3. 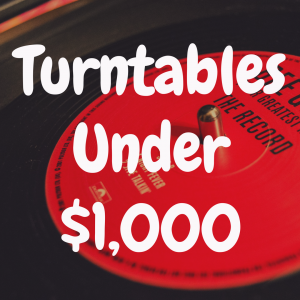 If you’re buying from a web store or brick and mortar seller, then you will have to know a bit more about the condition of the turntable before shelling out $300 – $500 for a nice deck. Ask the salesperson to play something on the turntable. 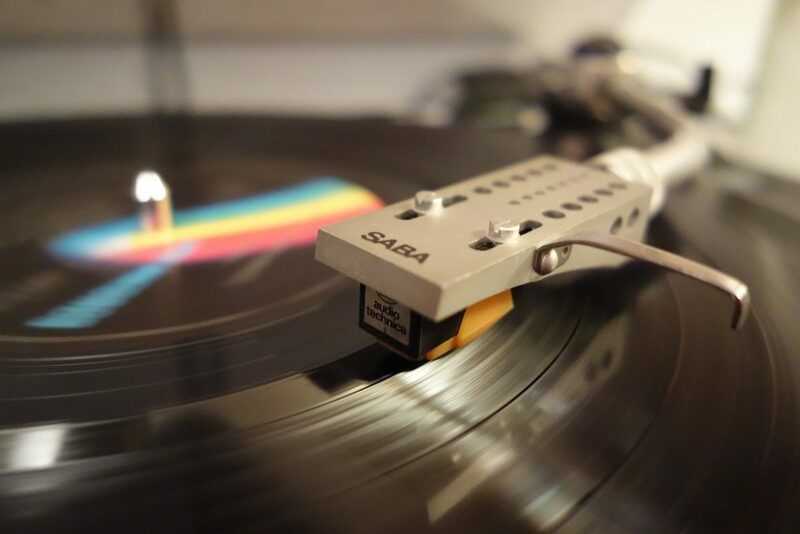 Make sure the tone arm comes off the rest and lands on the run-in grooves, listen to the sound and make sure there is no obvious distortion (that would come from an improperly set-up tone arm or cartridge). Make sure the tone arm returns smoothly to the rest and turns off. Try both manual and auto functions. Hell, try all of the buttons, bells and whistles that are on it. If you don’t know, just ask the salesperson, ‘what does that button do?’ and make him activate it. The bottom line is, listen to the deck and the album being played on a decent pair of speakers right there at the store or the living room (if you are buying on Craigslist). 4. Aside from thrift store or CL finds, make sure you get some kind of guarantee on the deck. Look, if they’re charging you $400 for a forty-year-old turntable that they are selling as refurbished, they need to have some sort of quality assurance. Thirty days should be fine. Just get it home, test it on your own equipment and play the hell out of it for a week. If it still works fine after a week, you should be alright. But, remember, you’re dealing with older equipment and old equipment can break down, even after it’s been refurbed. 1. Thrift Stores – Goodwill is my go-to, but there are others, such as Habitat For Humanity, the local Humane Society and other local places in your town or nearby. The rule is: if you don’t look, you’ll never find it. 2. Craigslist – While I have never purchased equipment on CL, I know some people who have found decent decks there. You just have to go visit the seller and do the above test on the equipment. There’s really no guarantee on this stuff and once you pay, that’s that, so do your research as above. 3. Ebay – Yes, you will find all kinds of wonderful turntables for sale on Ebay. Not always the best deal in town, but there are a few ethical sellers who actually know their stuff who really do a decent job of reviving vintage equipment. Shipping is high, unless there is local pick up. The good thing is that Ebay has a good return policy for buyers receiving stuff in non-working condition or something that is not as advertised or listed. 4. Vintage Turntable websites – There are more than a handful of these. Fixmydual.com is a pretty well-established site for Dual decks. Vinylnirvana.com is the place to go for both Thorens and AR decks in refurbished condition. Your best bet when finding something you like, is to thoroughly research the deck you are interested in, using other sites and forums, to see what other people who use vinyl think about the product. AudioKarma and Vinylengine are both an widely used forums with lots of great opinion, reviews, resources, user manuals and specs on all kinds of turntables and a place to pick up well maintained decks from members who are ready to upgrade. For parts, you can head over to Organdonorparts.com and look for what you need. I personally was able to restore my Dual/United Audio Dual 1228 with parts from his inventory. 5. Brick and Mortar Vintage Sound Equipment Stores – There are a few of these, mostly in the more heavily populated areas, but that is changing, due to the continued interest in all things vintage. Just follow those recommends for testing and you should be fine. The main thing with purchasing a turntable is to know what you want before you buy. 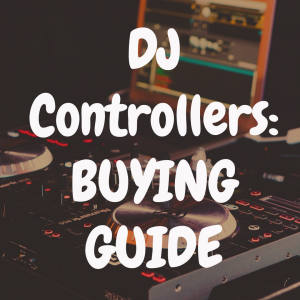 There are so many variations of turntables, even within the same brand or type, that to go into a buying mode before you understand what you’re buying is asking for disappointment or frustration. So, do your research. Look for the best deck that you can currently afford. Don’t spend thousands of dollars on one piece of your system. You’ve got amps, speakers and other components that will best match each other. Keep it fun. 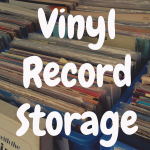 Try joining a vinyl forum, such as AudioKarma or VinylEngine to get a better idea of what is being discussed, but don’t get into the back and forth of it. Just pick a few moderately priced units and do your research on them until you feel comfortable with one, then pull the trigger. That should get you going on your vinyl hobby. Maybe you’ll tire of it and want something better in a few months or a year. That’s fine, just pick up another deck and sell your old one on Craigslist.